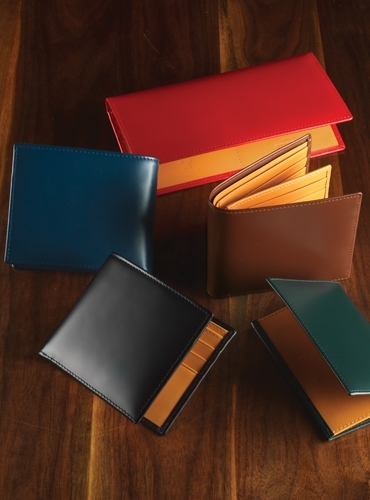 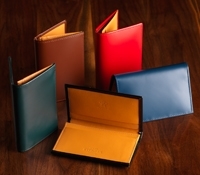 Fine leather goods from Ettinger of London, holder of The Royal Warrant, and representative of the definitive qualities of English style and craftsmanship. 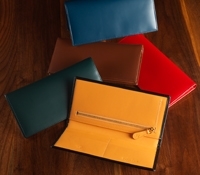 The lustrous sheen of the external bridle hide leather opens to reveal Ettinger’s iconic London Tan panel hide interior. 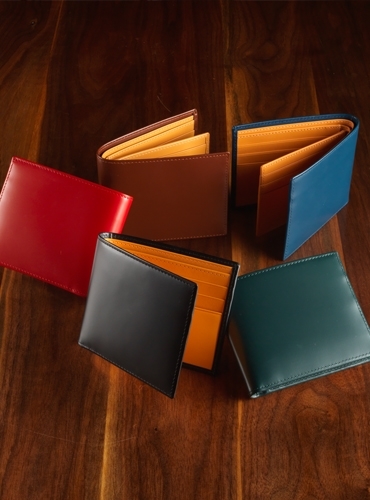 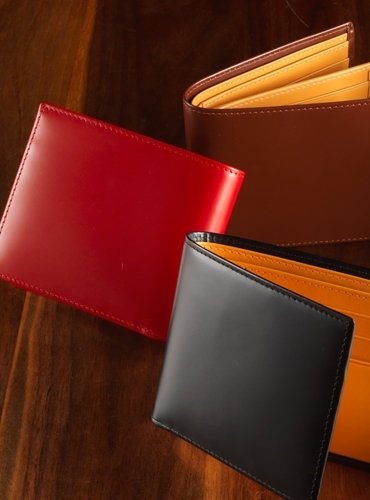 Offered with either 6 card slots (EBBF) or with 12 card slots (EBBF2); each option features 2 bill slots and 2 slip pockets. 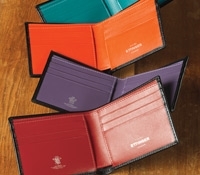 Measures approximately 4.5 x 3.5 inches when closed. 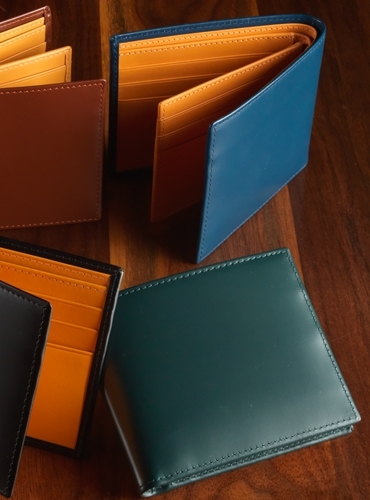 Available in any of the five exterior colors shown: A-black; B-green; C-Havana; D-red; E-petrol blue.